Hopefully, if you're living in Vermont, you actually like the snow, cold temperatures, and all the wonderful activities that come with this type of climate... or at least you don't dislike them. But whether you're a seasoned winter enthusiast, or are just starting to work on your 'icy-parking-lot-walking' form, there are a few winter celebrations in the area you won't want to miss. In its 43rd year, this Stowe carnival is 15 days long and full of tournaments, ice carving, skating, dance parties, movie nights, karaoke nights, brews, and a fishing derby. This indoor/outdoor winterfest at Shelburne Farms includes family friendly activities including sledding, horse-drawn rides, crafts, music, and a rock climbing wall by Northern Lights Rock and Ice. 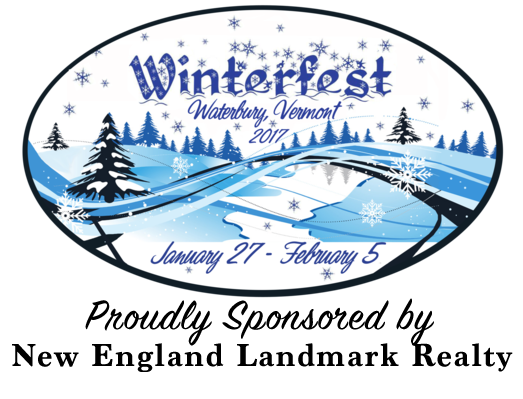 New England Landmark is a Proud Sponsor of Waterbury Winterfest! A celebration of community along with the season, this festival features storytellers, theatre acts, music, facepainting, crafts and winter games, hot cider, chili, and warming hut to help keep warm. A kid-centered celebration of snow-fun a the Miller Recreation Center in Burlington. Free snowshoeing, xc skiing, face painting, crafts, and youth yoga classes by Spark Youth Yoga.